Detroit is in the midst of a boutique hotel boom. What does it say about the city's economy? Guests stroll across rooms with hardwood floors accented with locally-made rugs, refresh in bathrooms made with marble and stone countertops and flooring, and shop and dine in luxurious stores and restaurants. 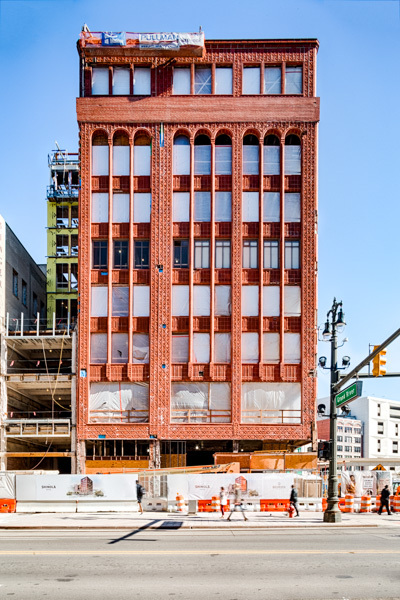 Well, that's how Andrew Leber promises the experience will be at the Shinola Hotel, a boutique hotel scheduled to open in downtown Detroit on Woodward Avenue in the fall of 2018. "We're going to provide a level of service that doesn't yet exist in the city," says Leber, vice president of hospitality for Bedrock. Recalling a famous quotation from the late poet Maya Angelou, Leber wants guests to feel pampered and special when they walk through the doors, and it won't be just about the custom vinyl wall coverings or commissioned art by local artists hanging on the walls. "It's my philosophy," he says. "People will forget what you said and what you did, but they will never forget how you made them feel." 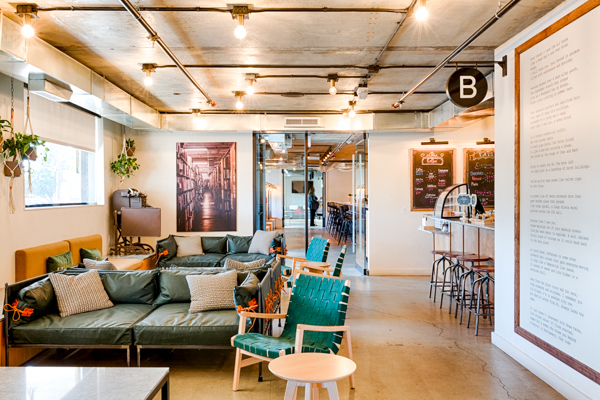 Making guests feel special is part of what defines a boutique hotel, which tend to be smaller in size, big on personality, located in a vibrant, urban setting, and offering a vintage-marries-trendy vibe. 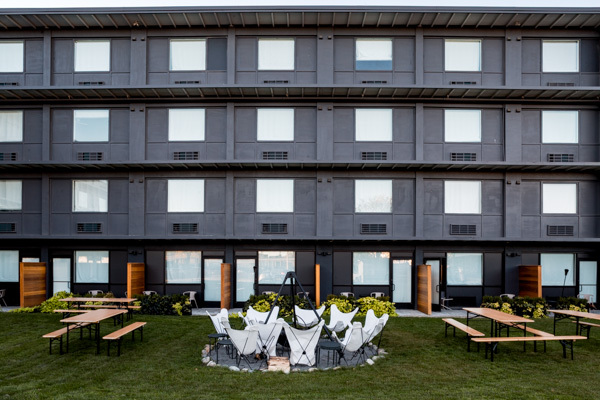 A smattering of new boutique hotels, such as the Aloft Detroit Hotel, Detroit Foundation Hotel, and Trumbull & Porter Hotel, have recently opened in the city. And the downtown district will soon be home to several other boutique hotels offering visitors eclectic lodging choices while also boosting the economy with new jobs and tax revenue, preserving historic buildings, and helping fill a void in hotel rooms in the city's hospitality and tourism industry. "The city does have a shortage of hotel rooms," says Mark Denson, director for business attraction for the Detroit Economic Growth Corporation. 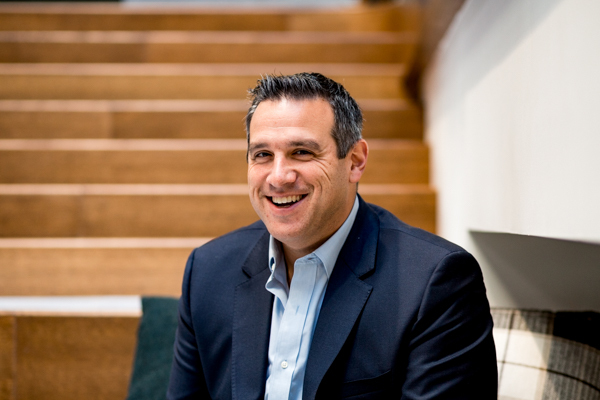 "There's a need for us to be more competitive when it comes to certain types of conferences and conventions. Boutique hotels come with their own followings. They'll serve an important niche as a getaway for locals, and bring seasoned travelers to Detroit, which I think is an important thing as the numbers of visitors continue to rise." Lieber says the eight-story, 130-room Shinola Hotel will be an extension of the design aesthetic and appeal of a Shinola retail store, combining the high-quality, American craftsmanship of Shinola with Bedrock's development and urban revitalization expertise. The first project for the two companies will cover 16,000 square feet, offering food and drinks from the New York City-based NoHo Hospitality Group and activating the alley behind the properties for entertainment. Across the country, in major metropolitan areas and smaller cities, developers are repurposing old buildings into hotels. Behind the push for these hotel projects are the changing desires of younger travelers who yearn for authenticity and urban sensibility in their accommodations. Guests who are willing to forego stays at standard hotels will find architecturally unique features, and rich history in old, high rise buildings. When a rundown Corktown motel was transformed into the Trumbull & Porter Hotel, Ruth Butler, director of sales at the hotel, says the owners wanted a youthful, artistic flair. So they decided to offer guests custom Detroit-themed art, polished concrete floors in guest rooms, and trendy leather furnishings to attract the millennials who seek unique settings rather than cookie cutter hotels. The hotel features other youthful elements such as an outdoor beer garden with an open bar and dining space that doubles as a small entertainment venue during warmer months. The Siren Hotel, a 100-room, $20 million makeover of the 14-story Wurlitzer Building at 1509 Broadway scheduled to open in January 2018. The hotel will feature seven bars and restaurants, two retail spaces, and an accessible rooftop with panoramic views in a plan that will highlight characteristics of Detroit's old world hotels with European hotel aesthetics. West Elm Hotel, a 120-room hotel at Cass and Canfield in Midtown, part of a larger development that also will retail space and housing. The District Detroit Hotel, a 350-room hotel and part of the District Detroit project near the Little Caesar's Arena on Woodward near I-75. The official name and opening date in 2019 are still to be determined. Element Detroit Hotel, a 110-room, $32 million project planned in the renovated Metropolitan Building at 33 John R in Detroit. The hotel, operated by the Starwood Hotels and Resorts Worldwide is being touted as the city's only project designed for extended stay guests with larger closets, a kitchen and extra space for guests arriving to attend conventions, and events requiring longer than a single night's accommodation. Jennifer Reinhardt, the Detroit preservation specialist for the Michigan Historic Preservation Network, says the properties represent a new kind of historic preservation in the city. "Twenty or 30 years ago, there was a big push to demolish these types of buildings in Detroit," she says. "Having this momentum of change is a positive sign for the city and really will have an impact on the downtown area to have increased density. "It's a good thing for the city to see these vacant buildings being renovated." Some developers find it less expensive to renovate old buildings rather than build new ones, she says, and when it isn't, tax incentives can make up the difference. In fact, Reinhardt says, from 2001 to 2015 about 10 percent of Federal Historic Preservation Tax Incentive Program of the National Park Service was used for hotel projects in Detroit. The federal program is available in all 50 states grants tax credits of up to 20 percent that developers can use to help finance rehabilitation of historic buildings. "It makes them more financially feasible and it makes the numbers work, so that's driving projects," Reinhardt says. Federal tax credits can also be combined with state historic tax credits, which are offered in more than half the states. In Michigan, however, those tax incentives are currently unavailable. But with bipartisan legislative support, Reinhardt says the historic preservation network is advocating for the return of the 25 percent tax incentive, which could be used for hotels, other businesses, and residences that are at least 50 years old and meet other criteria. Denson says the smaller hotels certainly fill a need and tend well fiscally, but economic developers also are pushing for larger hotels to accommodate big conventions held at the Cobo Center and drive the numbers its recently approved $300 million expansion is designed to handle. "The market is viable; it's hot and it continues to grow," Denson says. "Boutique hotels offer the right type of mix that is normally lacking in Detroit." Read more articles by Kimberly Hayes Taylor. Kimberly Hayes Taylor is national award-winning independent multimedia journalist whose written for newspapers such as The Detroit News, Minneapolis Star Tribune, and USA Today, and a former editor of BLAC Detroit Magazine.